After nearly three years, an Ottawa couple will soon be able to bring their young son to live with them in Canada after the federal government granted him a temporary resident permit. 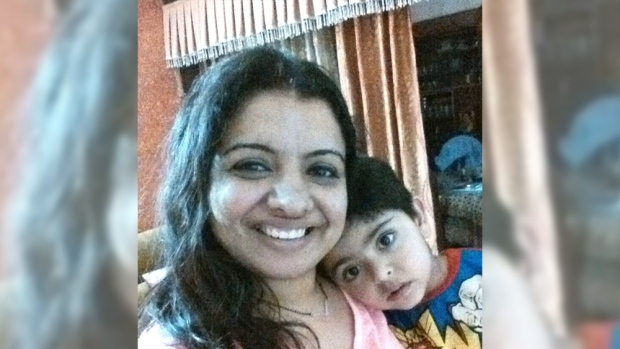 Bhavna Bajaj and her husband, Aman Sood, have been working to bring their four-and-a-half year old son, Daksh, to Canada since they arrived in the country in 2013. The two have been separated from him since they immigrated as permanent residents, and have been unable to bring him to live with them in their Ottawa home. An online petition was launched to support their case, and, last Tuesday, Bajaj hand-delivered the petition to Immigration Minister John McCallum herself. To her surprise, McCallum called her the next day to tell her that the government would be granting their son a temporary resident permit, meaning he could soon join them in this country. The minister also told her that the government would work on granting him permanent residency, she said. Bajaj said she was stunned by the call. "I had brain freeze for a few minutes," she told CTVNews.ca. "As a mother, I have been trying this for nearly three years, and to get it in one day from the immigration minister … it's like a whole new life has started." The case stems from January, 2013, when the couple arrived in Canada as permanent residents from India. When they had first applied to immigrate to Canada in 2011, Bajaj was pregnant with a child in England. As the file was being processed, she gave birth to a boy, who the couple named Daksh. When she told her independent immigration consultant in England that she now had a child, they told her she could go to Canada first and apply to sponsor her son afterwards. She and her husband decided to move first, thinking they would apply to bring their son over once they were working and were more settled. She said that they were following advice from the immigration consultant, and did not know that they were breaking a Citizenship and Immigration Canada rule. While she recognizes that she and her husband have missed much of the first few years of her son's life, she's thinking only about their future together. "I know, as a mother and a father, we have missed some of his precious moments. But I think it's a new start," she said. "I don't want to think about that; I just want to think about his future." Bajaj thanked all the people who signed the petition and supported her case, as well as the immigration minister and prime minister for giving her renewed "hope." As for Daksh, she said he's excitedly preparing for his new life in Canada. "He's packing his bags. He's telling me 'I'm going to bring this toy and this toy,'" she said, laughing. "I told him, 'I'm not sure about the toys.'"